Brad Bird: We're a mile and a half above the earth. The tallest building on the planet. The Burj Khalifa in Dubai. And we're filming a scene where Tom Cruise is climbing on the outside of the building. Ok, Tom. We're ready to go. Stepping out guys. This is just another day at work on Mission Impossible. So Tom. We're just gonna do another one at this angle. Because this angle is great. 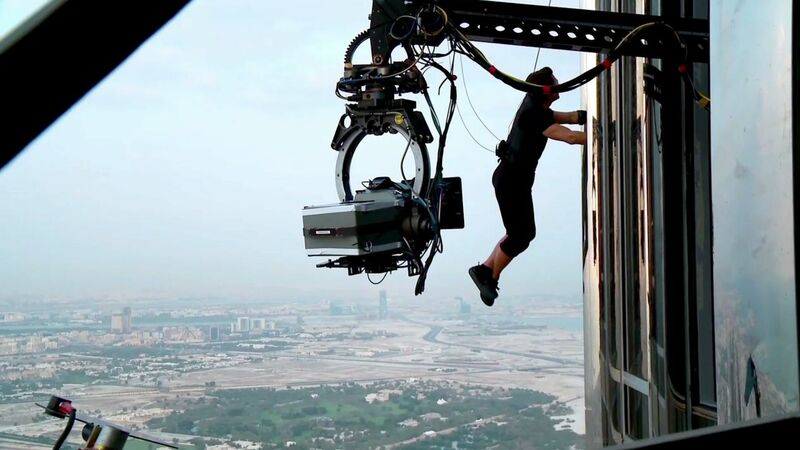 Tom Cruise runs and climbs on the outside of the Burj Khalifa tower.